As I’m a bit rusty, I decided to do some simple modelling. 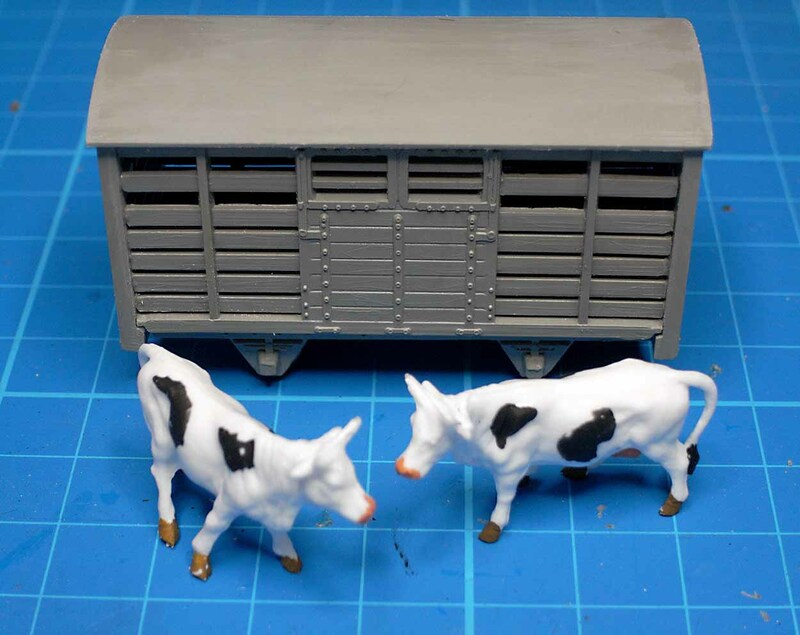 Ages ago I brought a secondhand Nine Lines Welshpool and Llanfair cattle wagon kit. It’s a simple kit and I thought it would be good practise. 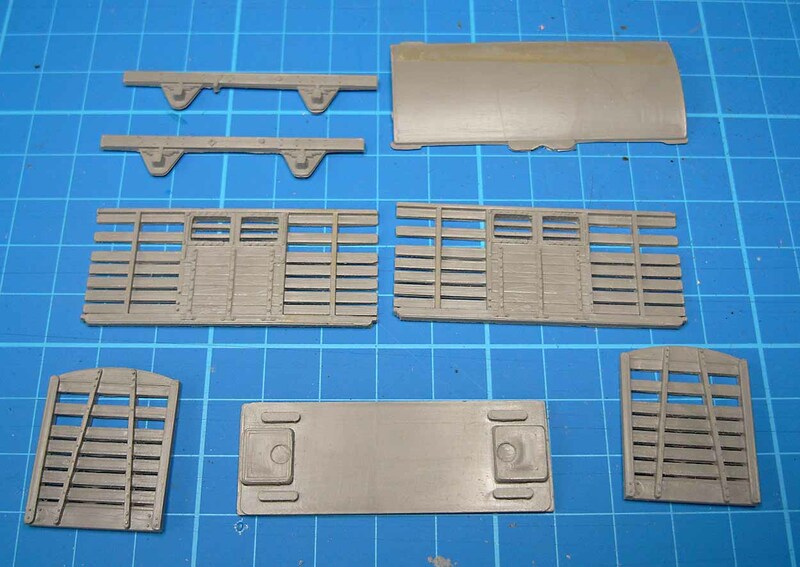 I think the kit dates from the 1980’s and the mouldings are really crisp. A splash of paint and it was looking good. 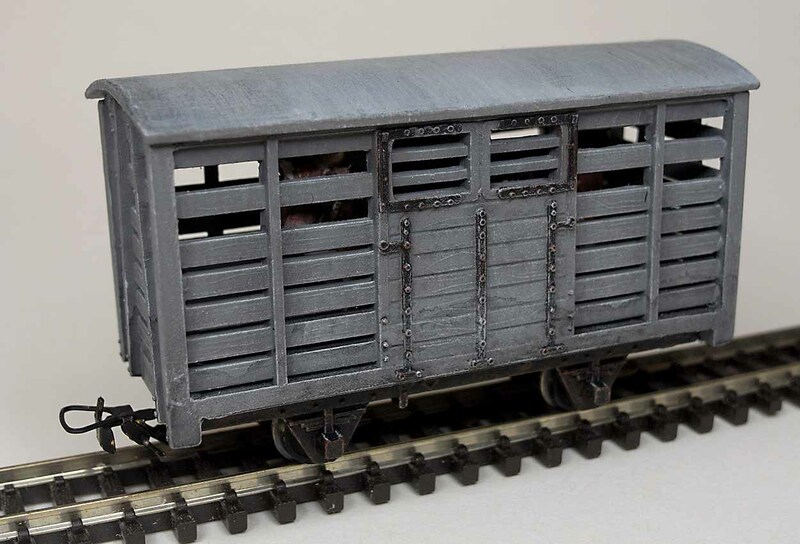 I used Humbrol grey primer as both the primer and top coat, and painted the iron fittings black. Apparently in the 1870’s to 1900 lots of diary farmers moved from Scotland to Essex to supply milk to London. They brought their stock with them and Ayrshires became a common breed in Essex. 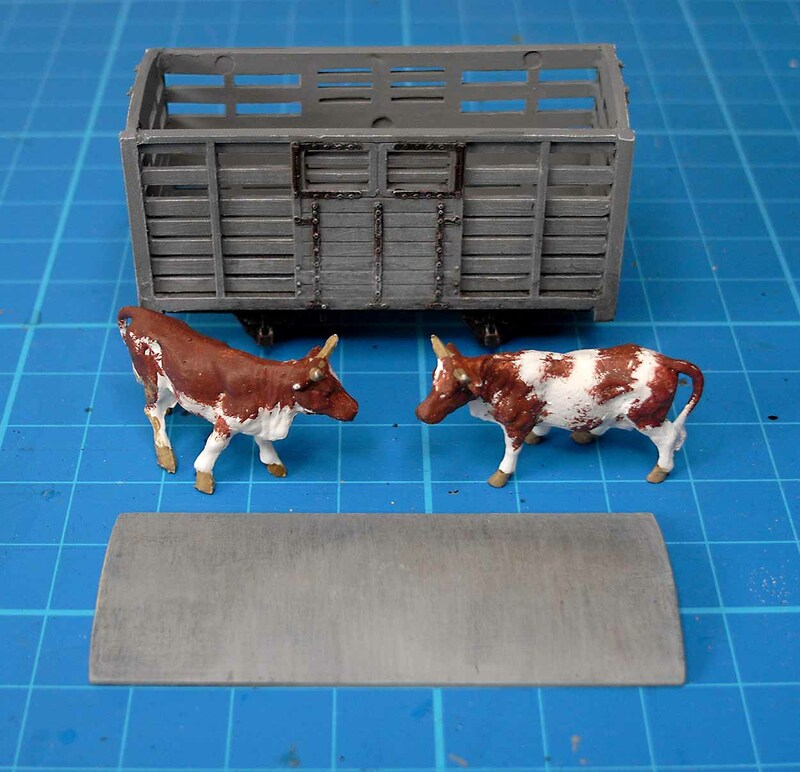 I decided to repaint the cows to resemble Ayrshires so that I can use the cattle wagon on the ‘Thaxted’ layout (when I get round to building it). Looks really good, those Nine Lines kits are still worth considering. 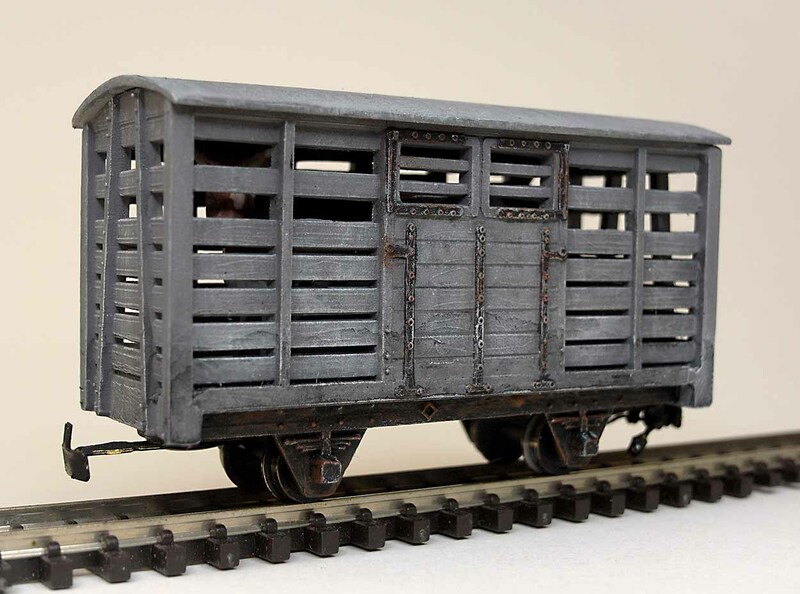 I have three cattle wagons (painted badly) so this might inspire me to have another go! Nice wagon, and cows, I must keep an eye out for Nine-Lines. I think picking up a simple project after a lay-off is great idea. I hope that soldering iron isn’t going rusty Steve!! !